I've always been an admirer (from a distance) of the art of hair styling. I love reading about it, talking about it with my hair guru friends, and watching countless Youtube tutorials on it. But when it comes to actually styling my own hair, I seem to lose all finger dexterity along with my opposable thumbs. This means my repertoire of hairstyles is simple, limited, and hand-eye coordination friendly. Usually, the most complex hair decision of the day revolves around whether to part my hair down the middle or to the side. When summer braids started trending, I longed to master the technique of braiding. After all, braids exude an inherent air of boho chic, making it the perfect summer hairstyle chameleon. 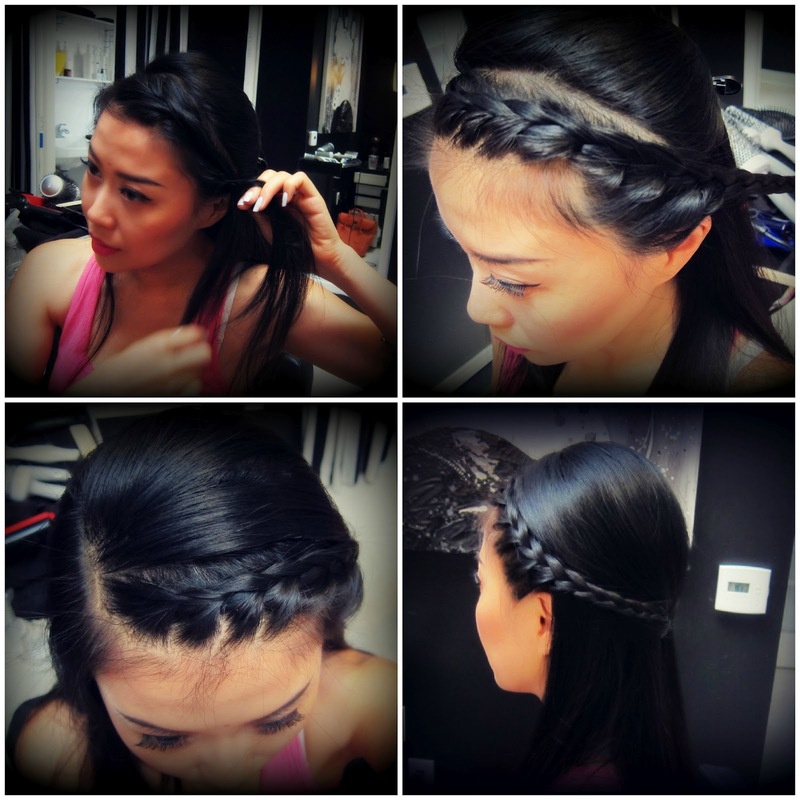 Armed with determination and patience, I visited VIP Beauty in Pasadena for a quick braid tutorial. Although there are many different ways to braid, I told Lauren, VIP Beauty's resident braiding guru I wanted to master a quick, easy and endlessly versatile braiding technique that's work appropriate and nighttime transition friendly. 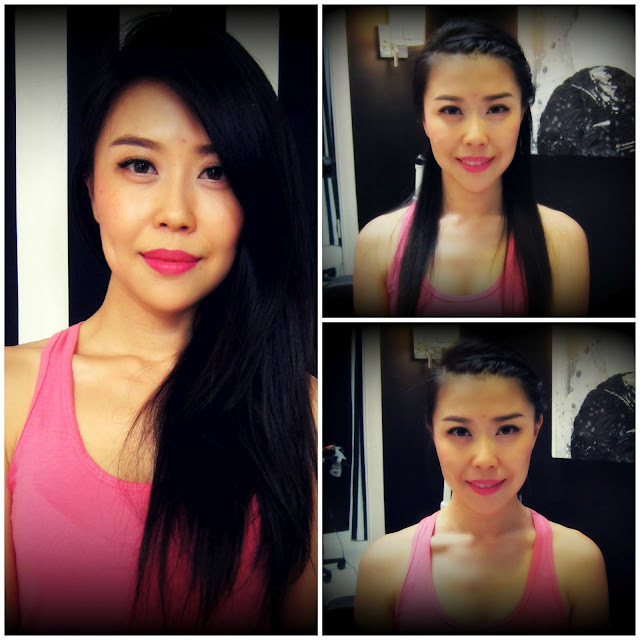 Within minutes, we came up with a fabulous side braid that can transition to three different styles in mere seconds. 1. Run a small amount of texture styling creme all over the hair. This helps to hold and define the braid. 2. Create a dramatic side part to achieve maximum hair drama. 3. Isolate the braidable hair by bobby pinning the rest of your mane. 4. Starting at the root, separate hair into three sections and begin braiding, adding hair to the braid from the front only. 5. Tie the braid with a thin rubber band. Make sure you stop the braid three quarters of the way from the roots. Once the braid is set in place, it's time to experiment with different hairstyles. Here are three lightning quick styles that are appropriate for every summer activity. 1. Wear it half down and twisted in the back for a fun weekend at the beach or outdoor music festival. 2. 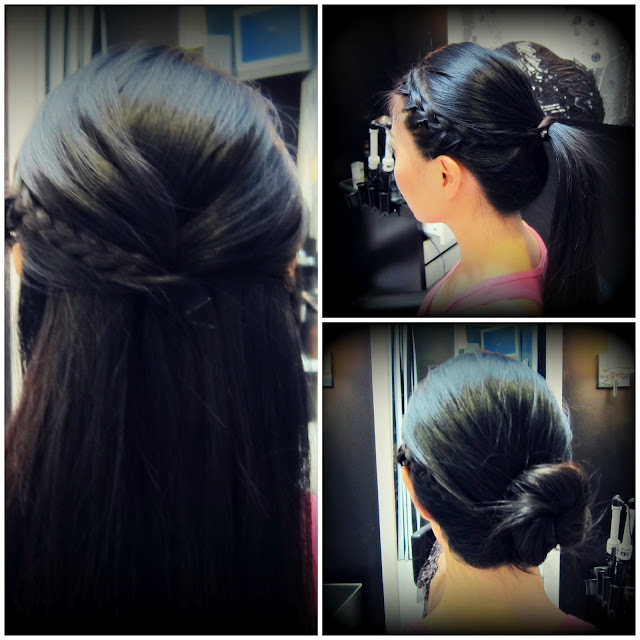 Tie it into a low ponytail to add a bit of braided fun to your workplace style. 3. A low side bun creates flair and sophistication, perfect for a summer wedding. And just like that, my everyday ordinary hairstyle gets jazzed and pizzazzed. Summer braiding is in the bag! You look so cute ! Thanks for sharing! I love that lipstick color on you? May I ask what color? and by whom? super easy nd lovely.. and the lip color is stunning.. Which one is it? Lv3hreeshaowen Louis Vuitton recognition could be believed along with the truth that louis vuitton outlet as well as handbags of the manufacturer is actually transported through large celebs such as London Hilton as well as Britney Spears. The explanation for the actual large achievement as well as recognition associated with Louis Vuitton Bags tend to be it's high quality as well as design Louis Vuitton Store are merely matchless and therefore are first rate. From the fundamental materials utilized in the actual production towards the add-ons accustomed to improve their own design and appear; every thing is actually chosen following high quality assessments to ensure end-product grow to be merely outstanding. The actual Louis Vuitton as well as dedication put in the actual production of every tote make sure they are the grasp item in the clients. These types of stylish searching handbags as well as Louis Vuitton Outlet Online are made as well as developed by craftsmen getting era associated with encounter, that is handed through grasp in order to newbie. Unparalleled high quality, styles as well as type of these types of totes as well as handbags make sure they are extremely more suitable rather than the significant price.Louis Vuitton Bags make of Louis Vuitton possess a particular clientele which usually appear additional for that brand new as well as revolutionary items released through all of them. a local hub and maybe even signs of her udder 'running milk'. The booklet aims to bring together various agencies and communities to ensure that courier insurance the owner is suitably compensated for their loss. carry out 250 hours of unpaid work.